It’s all too easy to fall into the trap of trying to move up the ladder, through trying to demonstrate your work ethic to managers and coworkers. While there’s certainly nothing wrong with that, it’s not always easy to recognize when this pattern has gone too far and has taken a turn for the worse. No matter how talented you are, we all work with the same 24 hour day, so it’s important to have time to relax and reflect. Burn out is very real, and doesn’t help anyone, not you, not your company, not your mission. What’s important is to identify the root cause(s) of your feelings. Is it that you’ve been pushing yourself too hard, or could it be that the work you’re doing no longer resonates with you? If you’ve realized it may not be the actual workload itself, but rather, it’s the mission, the product, the career prospects, [fill in the blank], then it may be time to ask yourself whether you could see yourself being happier at a new job? Once you’ve had an honest internal dialogue, then congratulations are in order! You’ve now taken the first step to getting back to that quality of life you deserve. Finding a new job that’s the delivers on exactly what you’re looking for presents it’s own challenges, but luckily there are a lot of tools out there which can supercharge your search, like Hired. Fortunately, the old days of sending out countless resumes are over. 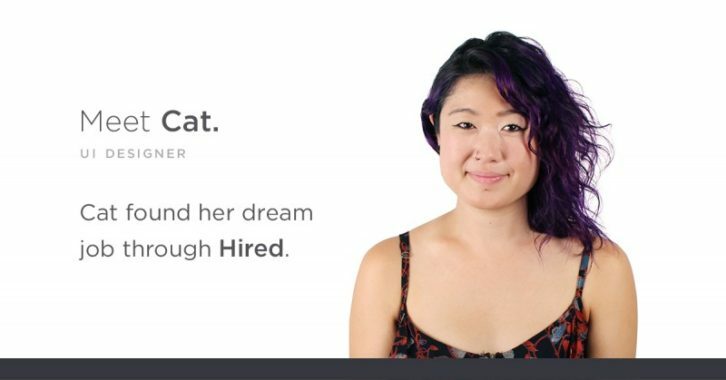 On Hired, you’re empowered in your job search: one application can lead to exposure with thousands of companies, and instead of applying to them, they’ll actually apply to you, reversing the traditional process. From there, you’re free to pick and choose which companies you’d like to speak to, ensuring you find the right fit in your next role, and work on projects you’re truly passionate about. So, if you’re beginning to feel burnt out, and think that it may be time for a new role to reinvigorate your passion, then try Hired today.